January 14, 2019: An AuxBeacon reader comments to provide this verified tweet from Andre Bauer. I saw you published my comment, so I thought I would try to take it a little further to show how some elected officials can suffer from gone-to-the-head-itis after immersing their egos in para-military and aviation groups like Civil Air Patrol. Charleston born André Bauer’s biography proudly lists him as a Lieutenant colonel in the Civil Air Patrol’s South Carolina Wing. He served as Member of the South Carolina House of Representatives from the 85th district from 3 January 1997 to 3 January 2001. He served as a member of the South Carolina Senate from the 18th district from 3 January 2001 to 15 January 2003. He served as the 87th Lieutenant Governor of South Carolina from 15 January 2003 to 12 January 2011. I mention this because today is January 12th, the day that marks the end of his political career. In January 2010, Civil Air Patrol’s Lt Col André Bauer made the following statement in a town hall meeting comparing public school children who receive free lunches to stray animals who should not be fed. It was later reported that Lt Col Andre Bauer Civil Air Patrol was himself a child of divorce who benefited from free lunches. Even though Mike Huckabee endorsed him, Andre Bauer was defeated in the Republican primary in June 2010. Some quick searching will show that Civil Air Patrol’s André Bauer has a safety record to inspire Civil Air Patrol cadets onward and upward. On May 6, 2003, Lt Col André Bauer CAP was stopped on Assembly Street in downtown Columbia, South Carolina, for running two red lights and speeding up to 60 mph in a 35-mph zone. The officer drew his gun after Bauer got out of the car and began heading toward the officer’s car in an “aggressive manner.” He was issued a ticket for reckless driving. On December 26, 2005, Lt Col Andre Bauer CAP received a friendly warning for speeding at 77 mph in a 65 mph zone in Laurens County, South Carolina. On February 25, 2006, Lt Col André Bauer was stopped for speeding over 100 mph in Chester County, South Carolina in a state-issued car, but he was allowed to proceed without a ticket or warning. On May 23, 2006, Lt Col Andre Bauer was injured in the crash of a single-engine Mooney M20E, TailNo N3217F and registered to Bunk that he piloted off too-short an airfield in Blacksburg, South Carolina. Bauer and his passenger escaped the wreckage before the plane caught fire. The pilot’s failure to abort the takeoff after the airplane failed to achieve adequate airspeed on the takeoff roll for undetermined reasons. This resulted in an abrupt pull up, inadvertent stall, and in flight collision with wires, trees and the ground. According to FAA regulations, “[t]he pilot in command of an aircraft is directly responsible for… the operation of that aircraft” including determining if the aircraft is in airworthy condition and properly making the decision to abort takeoff in time to avoid a crash. The private airstrip at Blacksburg, South Carolina, is not registered with the Federal Aviation Administration or with the State of South Carolina. The FAA investigator on scene measured the grass and dirt runway. The runway is 1,383 feet long and 80 wide. 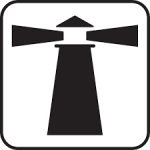 The elevation at the airport is 850 feet and the runway direction is 240-degrees and 06-degrees magnetic. Review of the Super 21 Model M-20E Owners Manual, Part IV Performance Data, Figure 1, page 35, reveals that at a field elevation of 850 feet MSL, a temperature of 73-degrees Fahrenheit, and a take off weight of 2,441 pounds, the take off roll on a hard surface is 790 feet. The distance to clear a 50-foot obstacle on a hard surface is 1,357 feet. The performance data does not include any information regarding soft field take off performance. However, the best practice, as recommended by a former Mooney production test pilot familiar with the M20E, would be to add 15% to the take off distances for a mowed, dry, grassy runway. In that case, the take off roll would be increased to 908 feet. The distance to clear a 50-foot obstacle would then be 1,560 feet. The pilot stated he did not compute any performance data for landing or takeoff from the private airstrip at Blacksburg, South Carolina. A June 11, 2009 court ruling from Administrative Judge Richard C. Goodwin concluded that “By overhauling the engine and returning it to service with incorrect bolts installed, respondent created an unnecessary risk in engine performance.” This in no way relieved Civil Air Patrol’s Lt Col André Bauer of his being responsible for this destructive crash. 4 Comments on "Civil Air Patrol’s Andre Bauer Has Tainted Safety Record"
Are you guys responsible for CNN not renewing their contract with Andre Bauer? I work in emergency management. We lean on CAP for aerial imagery following major incidents… like tornadoes or flooding. Well, we have historically. More and more we look for drone imagery since it is far cheaper than the CAP. Sometimes the State Police lean on them for help with SAR operations, but at the same time, they are a liability. I attended a CAP meeting once… the thought of some of those people flying was kinda scary to me… one guy, a CAP pilot I was told, couldn’t stay awake past the first 5 minutes of the meeting and looked to be 90ish with extremely shaky hands. They were not welcoming to me at all, so that was my first impression and my last meeting. You [redacting] [redact] snakes! Didn’t anyone ever teach you not to tattle-tail? If your brother-in-arms violates a reg for a higher cause of taking out the enemy, you don’t give him up you filthy [redacted] [redacted]! Good story. It has always amazed me how some personalities in Civil Air Patrol will instantly fall in line to curry favor with those who sound the right tones and flash the right symbols. Groups like Civil Air Patrol are a base and spring-board from which these cretans can launch. 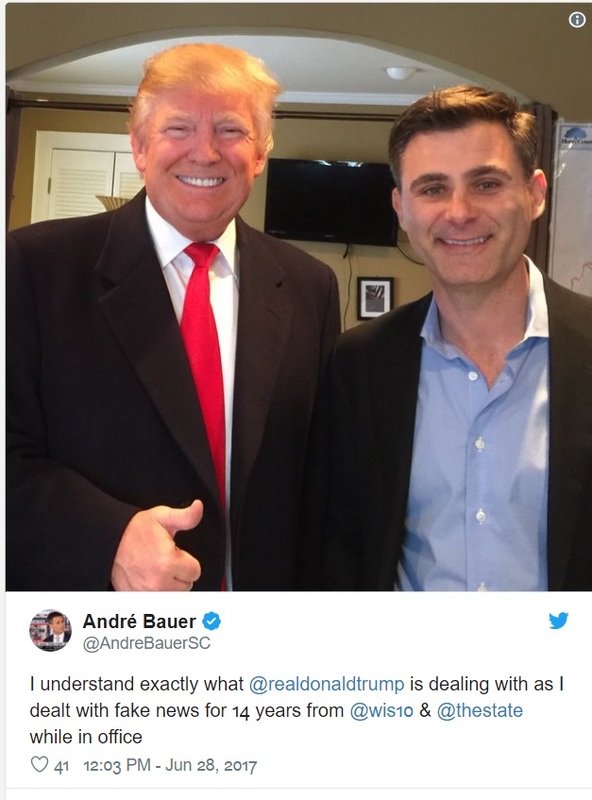 You may wish to add this image of Bauer with Trump as his feeble attempt at revising the truth of his own history.